In Kansas, most dogs are protected by the state Pet Animal Act. This law requires that dog breeders be licensed and undergo routine inspections. It also mandates minimum standards of care, including a requirement that shelters euthanize animals only through modern methods. This good law is hardly radical, and some of its provisions date back nearly forty years. It does not, however, currently apply to greyhounds. 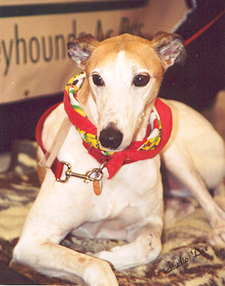 For years, the National Greyhound Association has fought hard to ensure that greyhounds remain exempt from the Pet Animal Act. 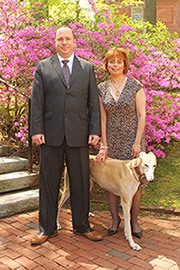 Until this year, the group has succeeded in ensuring that greyhounds don't receive these basic legal protections. This year, however, things might turn out differently. A proposal now moving through the legislature, House Bill 2596, would eliminate the greyhound exemption in the Pet Animal Act. The bill has already been approved by both the state House and Senate, and is now waiting for one final procedural vote before going to Governor Sam Brownback for his signature. HB 2596 is not perfect. Even though greyhound breeders have so far been unable to prevent its passage, they were able to win a compromise. In place of the greyhound exemption, new language will be added which states that the Pet Protection Act will not apply to any farm or kennel that is registered with and inspected by the National Greyhound Association. Although this is a setback, the new language will also give the Agriculture Commissioner some authority to inspect greyhound breeding facilities. Even with this compromise, HB 2596 is a step in the right direction. I'm hopeful that it will become law, and Kansas greyhounds will finally be given a few more protections. Finally, it's curious that greyhound breeders have fought so hard against this humane change. It makes you wonder, what exactly do Kansas greyhound breeders have to hide?